Step off the beaten path and head to Action Park and Tuula's Reindeer. You'll find plenty of places to visit near Saariselka: Inari (Pielpajarvi Wilderness Church, Siida, & more). 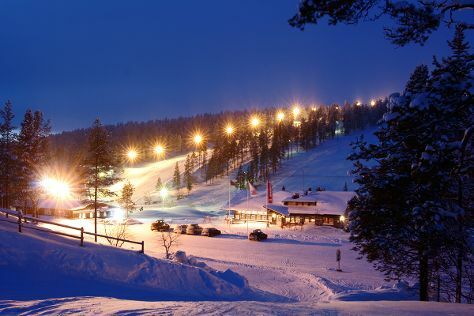 On the 29th (Tue), spend an exhilarating day on the slopes at Saariselka Ski & Sport Resort. For maps, more things to do, photos, and more tourist information, use the Saariselka travel itinerary planner. In January, plan for daily highs up to -11°C, and evening lows to -20°C. Finish your sightseeing early on the 2nd (Sat) so you can travel back home.